To determine whether SBHC goals are being met requires a system for collecting, storing, and analyzing data. Such a system is also key for assessing the quality of services delivered and taking steps to continually improve the program. Evaluation results can be used to show the school, funders, policymakers, the community, and others that integrating comprehensive, sustainable oral health services into primary care in SBHCs is a wise investment and that doing so contributes to students' ability to succeed in school. Process evaluation enables SBHCs to understand the strengths and weaknesses of program operations and dynamics and allows SBHCs to identify areas needing improvement. Outcome evaluation quantifies improvements in the oral health and overall health of students that the SBHC served. Outcome evaluation can be conducted in the short, intermediate, and long term to examine missed school days, student and parent satisfaction, and comparisons between the oral health status and overall health status of students enrolled in the SBHC and those not enrolled. Establish a quality-improvement process, and review it quarterly. Develop action plans to address barriers and challenges relevant to the delivery of oral health services and the integration of sustainable comprehensive oral health services into primary care in the SBHC. 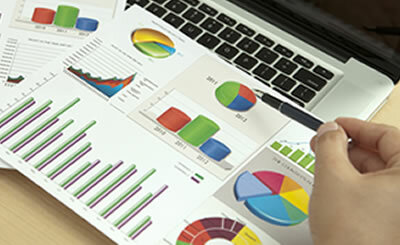 Analyze and review outcome data on a short-term, intermediate term, and long-term basis. Center for Oral Health (CA) established a common quality dashboard that enables staff to obtain an overview of progress occurring in processes and outcomes and measure it against the program's quality expectations. Health Research, Inc./New York State Department of Health (NY) incorporated the Plan-Do-Study-Act quality-improvement process into its monitoring and evaluation protocol and incorporated many elements from the SBCOHS integration worksheet into its metrics.